Tony's Kansas City: KANSAS CITY 2019 HOMICIDE #35 & #36: DOUBLE CAR MURDER SCENES MONDAY!!! 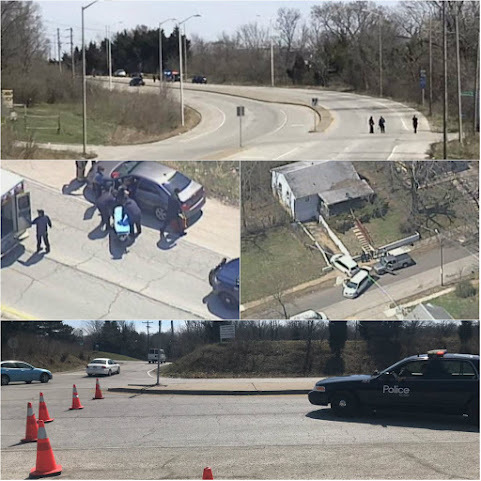 KANSAS CITY 2019 HOMICIDE #35 & #36: DOUBLE CAR MURDER SCENES MONDAY!!! The rising murder count in this town is no joke. Again, this pushes KCMO to 36 homicides so far this year compared to 32 at this time last year for a 5-year-high overall. NOVA, Mother's in Charge, Aim fo peace and the rest of the grifting anti violence bottom feeders better get their running shoes on to keep up with the "urban youth". Veracity doesn’t belong in the same sentence as KCMO Communications office.